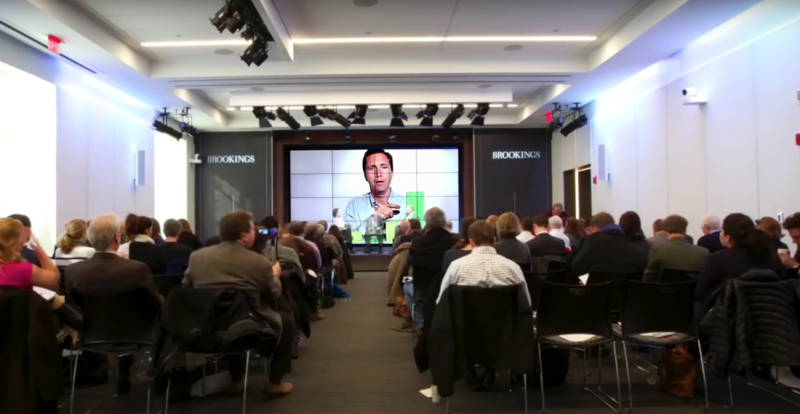 The Brookings Institution, which owns just about half-a-billion dollars and deep connections to numerous left-wing political figures, is disseminating their leftist agenda while using taxpayer money. Brookings alleges that its goal is to “conduct in-depth research that leads to new ideas for solving problems facing society at the local, national and global level” and they claim that they value the “independence of its scholars and prides itself on ‘open-minded’ inquiry”. 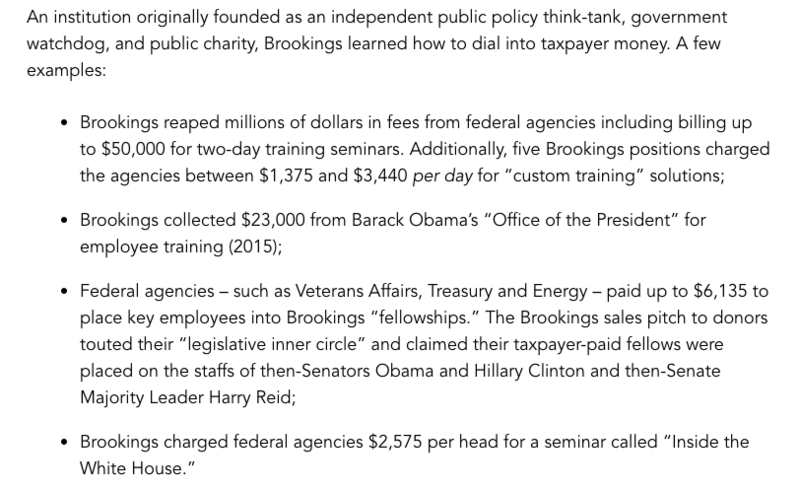 “Since 2008, Brookings amassed nearly $20 million in contracts and grants from 50 agencies – including the Obama Administration’s Office of the President. Despite assets of $496 million (IRS990, FY2014), our OpenTheBooks.com audit shows it was not enough. Brookings instituted an aggressive strategy to pursue federal business over the past nine-years. Brookings is abusing their power and is acting unethically and if you, as a taxpayer, feel passionate about this problem, speak up. It is your money being wasted for left-wing advocacy, it is your money and your livelihood that they don’t care about – this is apparent in their behavior. Take a look at just one of Brookings’ government contracts and review the contents (this contract is active through 2018). A 2014 New York Times expose illustrates some of the ways Brookings kicks backs to those it favors and also the fact that Brookings did not and refuse to disclose foreign government donations. Read Andrzejewski’s full report here.